My husband and I had such a wonderful time during our brief stay with you. We apologize for our delayed review, but wanted to be sure to respond. Ursa was so welcoming, helpful, and interesting to speak with. She even went so far as to arrange dinner for us despite our very late arrival due to travel delays. Our room was lovely, clean, and comfortable - we hope to visit again, perhaps in the winter so we can ski through the beautiful valley! Fantastic stay at Lenar Farm and one of the highlights of our holiday in Slovenia. 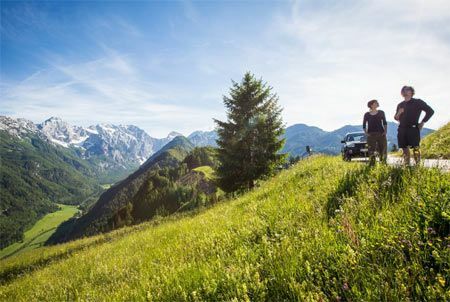 The Logar valley is spectacularly beautiful and a great place to stay. We stayed in the 2 bedroom appartment with another adult couple - it was very comfortable and clean and great views of the mountains from our patio out back. Breakfast was great and Urska and her family are great hosts and only too happy to explain their beautiful valley and helped us out with plans for the day. Thanks Urska for taking such good care of us! We would love to come back again one day and stay for longer! An outstanding location and a highly enjoyable visit to this rustic farm. We followed a recommendation by the Guardian newspaper, and endorse their good opinion. Staying at the farm felt very warm and comforting. The apartment was clean and comfortable. The breakfast was fresh and delicious. Urška and her family were very friendly and helpful. It is definitely a place everyone should stay! My husband and I spent 14 days in Slovenia, the last 3 nights at the Lenar farm in the Logar valley. The Lenar farm is a perfect dream place, so beautiful and peaceful. Ursa and her parents are wonderful hosts, friendly, accommodating and helpful. I loved the room and the decor, the bed was exceptionally comfortable, breakfast was wonderful and the view is breathtaking. I appreciated the good rest as well as some great hiking trails in the area. There are bicycles available on the premises in all sizes if you want to take a ride and walking poles you can use for a hike. I loved every minute, highly recommended! They are so friendly and helpful, we loved our stay!!! Recommend great hikes. Quiet and peaceful. A wonderful place to stay in a most beautiful area for hiking. Ursa and her family are very helpful and relaxed hosts. We should have stayed twice as long and to remedy that we will return. This is the most magical place I have ever visited and I will keep coming back to Lenar Farm every chance I get! We and our friends had a wonderful time. Our rooms were beautiful and clean, decorated with a quality traditional furniture. Breakfasts were delicious, featuring home-made marmelade, and a colorful display of tasty breakfast items. The breakfast area has a home-like, cozy feel and features wonderful hand-stiched images of local flowers on the curtains. The hosts were very pleasant, accommodating and helpful. We kept few personal food items in a large refrigerator, located in the guest area with wooden tables and chairs. We would like to return and we hope that the quality standards will stay the same in the future. The main charm is in keeping things simple and personable, which differentiates them from the impersonal, hotel-like atmosphere. All of the reviews you might have read about the Lenar Farm are true! We stayed in an apartment at Lenar for two days and the farm, location, and amenities were wonderful. Breakfast was absolutely delicious and the staff/owners are very friendly. We plan on returning! Fantastic stay at Lenar farm in stunning Logarska Dolina. We had the one bedroom apartment (room number five) which faced a beautiful view of the mountains. It had a private patio with a picnic table and lounge chairs which was great for meals and lounging before or after excursions. The apartment was very clean with a super comfortable bed (at least queen size) and great shower. The kitchen/dining/living area was actually bigger than I expected and quite comfortable for two people. Both rooms in the apartment had large windows facing the beautiful view. The kitchen did not have a microwave or oven but had plenty of pots, pans etc. and we did quite a bit of cooking. There is a small grocery store about 7 km away which supplemented the groceries we brought for our weeklong stay. There was a restaurant across the street and several more in the valley. The Wi-Fi was excellent. Communication with our host, Ursa was excellent and she kindly helped me with several special requests. She also provided an overview and written information about the area – activities, restaurants etc. which was very helpful. There are a number of nice walks, bike trails, and mountaineering trails in the area. We also enjoyed the drive along the panoramic road and visiting the other valleys in the area. Highly recommended! Our stay at the Lenar Farm was marvellous. The place is magical, the room very cute and the breakfast tasty. It's a little paradise on earth to which I would love to go back! The valley is exceptionally beautiful and the accommodation and grounds were excellent. The beds were very comfortable, which is not always the case in holiday rentals,and the breakfasts were delicious. My children particularly enjoyed interacting with the different animals on the property. Ursa was a charming host and very helpful. We definitely recommend this experience. We had an amazing time. The kids didn't want to leave, and neither did we. One of the best places we ear stayed in, and we're very seasoned travellers. We stayed in room 9, the room is a little small for a family with 2 children, but otherwise this place is wonderful !!!! The rooms are beautiful, the farm is lovely and it's fun to be there, and there's a lot to do at the farm and around it. Breakfast is one of the best I've ever had, simple and tasty. And most importantly the service of the owners of the farm,Urska and her parents, charming and provide service and recommendations above and beyond. Come to the farm and just do not want to get out of it !!!! Eine wunderschöne Unterkunft. Auf Grund der Lage fast ohne Autoverkehr ideal für Ruhesuchende und Familien mit kleinen Kindern. Sehr freundliche, hilfsbereite Gastgeber die das Haus und den Garten liebevoll pflegen. Wir werden wiederkommen! We had a wonderful stay at Lenar Farm. We were made very welcome by the whole family who were very helpful and went out of their way to make our stay a pleasant experience. We would love to stay here again sometime and will be recommending it to friends and family. we enjoyed our staying very much. beautiful location , peacefull and calm. good and generous breakfast. the staff was very welcoming . nice room, simple and clean.great view! Everything was excellent. The location is beautiful, the room is very comfortable, and staff very helpful. Amazing place. Everything!!!! And we miss Mizzi so much. Wonderful place, wonderful and helpful owners, great breakfast and best value for money in Slovenia! Vše bylo opět super!Rádi se vrátíme. Wir haben die herzliche und familiäre Atmosphäre sehr genossen. Das Frühstück war ausgezeichnet, sowohl die Qualität als auch die Auswahl. Very good place! Wish we could stay more! Urska and her mom are just great hosts!breakfasr was excelent, rooms are very comfortable, view is amazing! Perfect experience! We loved everything about this place. Urska and her mother were very welcoming, told us a lot about their lives and family history here, and gave suggestions for places to walk. The restaurant across the road was really good, with a stunning mountain view. And we loved meeting the animals who live here, particularly Mitzi the pig. We would love to come back. Beautiful location with the great service!! You must visit this place! Amazing location. My wife and I had the most relaxing and enjoyable time. The hosts are super friendly and accommodating. Ursa and her parents made us feel at home from the moment we arrived. Superb breakfast and rustic room with the best view of the mountains and Medows. Very quiet, and tranquil place. Beautiful hikes to the area forests and waterfall. We enjoyed bike riding with bikes supplied by the hosts. Conversations with Ursa and her parents were informative and engaging on history, places, and people. We had dinner at a restaurant belonging to another guest house a short distance away with great food and views to kill for. We didn’t want to leave when time came. We recommend Lenar farm whole heartedly. The images on the website don’t do real justice to the place. It’s so much better in reality. We simply fell in love with place, hosts and atmosphere. Lenar Farm was the perfect stay for our family. The staff was helpful and friendly, and we couldn’t have asked for more from our stay. The Valley is truly stunning and provides many options for hikes, biking, and scenic drives. We will definitely be back and will stay at Lenar again next time. Odlična storitev, okusen zajtrk, zelo prijazno osebje, enkratna izkušnja. Priporočamo! Fantastic location and hosts, great breakfast. We loved it, especially the personal touches regarding Easter traditions and the insight into life in Logarska Dolina. The breakfast was wonderful and if our dinner next door hadn’t been so enormous, we’d have tried absolutely everything on offer. We really enjoyed the warmth of the family too. Thank you for our very happy, if brief, stay. Precudovito, ne najdem besed, s katerimi bi opisal, kako lepo smo bili sprejeti; pokrajina, mir, in rekreacija...kot prerojeni smo se vrnili domov. Hvala druzini Lenar, le tako naprej. Se vidimo. In the foothills of scenic mountains, with lots of snow in January, comfortable farmhouse accommodation. The family owners, Ursa and her parents, couldn't have been more friendly, welcoming or helpful (for example, with transport links). A delightful holiday! A great Place. We would like to come again.Very friendly host. Amazing place, rooms with awesome scenery to Logarska mountains, super delicious breakfast and most important amazing hosts! An amazing location and a stunning place to stay. The rooms were classic country inn style and were unique to US travelers.The breakfast room with beautiful decor started each day with a delightful meal before we headed out for tours of the valley and the many hiking and mountain trains. Perhaps the best of all was the friendly reception and talks we had with the owners, learning about this amazing place that reaches back over 500 years for the small group of families the own and live in the valley.A true gem of a place. Very cosy rustical house, amazing host family! We enjoyed our vacation at lenar farm very much. It was magical experience. Spectacular setting. Extremely friendly and helpful staff. We really enjoyed our two night stay even though the weather didn't cooperate. Great & clean Appartement (No. 7), great surrounding, many animals (our little child (3 years old) loved them), helpful team. We had a great time at Turistična kmetija Lenar! The farmhouse is in a stunning location with beautiful views from the balcony.The owners clearly take pride in providing homely accommodation and the breakfast was superb with plenty of choice and locally homemade produce. Their daughter speaks excellent English and has detailed local knowledge which is helpful.It really is a lovely place to stay. Nimam nobene pripombe. Vse je bilo super. There are so many positives about Turistična kmetija Lenar. The location, in the centre of Logarska Dolina, is perfect. Our room was very comfortable and clean, with a stunning mountain view from the pretty balcony. Breakfast is delicious, prepared with fresh ingredients and eggs cooked to order. Most of all, the hospitality, helpfulness and service from the host family is exceptional. We will be back. Že tako lepo lokacijo, dopolnjuje čudovita ponudba turistične kmetije Lenar. Prijazno osebje, okusna hrana, zabavne domače živali in obilo možnosti za rekreacijo ali ležerno preživljanje kratkih dopustniških trenutkov. Amazing place!! Beautiful apartment and wonderful family. We had incredible time and we really recommend this place. Orsha and Minka you are amazing people,Thank you so much for your hospitality. Odličan smještaj, doručak i planinski ambijent. Prava obiteljska atmosfera! Zelo dobri zajtrki, popolna čistoča in dobra lokacija za pohodništvo in osvajanje bližnjih vrhov. Na kmetiji Lenar ni nikoli dolgčas. What an uplifting experience! This was the first place we came to in Slovanja and it was beautiful! Sparkling clean, great breakfast, Ursa and her parents are so nice and helpful. The kids had a wonderful time playing with the animals on the farm. We are dreaming of coming back to this magical place very soon! Thank you for the wonderful memories. The Deblingers. The farm stay was the highlight of our trip to Slovenia. The Logar Valley is breathtaking and yet also incredibly tranquil. There is plenty of walking, hiking, and cycling to do in the area. The hostess is gracious and attentive without being intrusive. The rooms were recently renovated and are charming, clean, and showcased pictures of the owner's family on the farm for several generations back. The breakfast was absolutely delicious. One more point to note, the valley only has about 200 beds available. The Lenar farm has an incredible meadow in front for guests to relax in-- hammocks, lawn chairs, swings for the kids, even a low-tight rope to try. I didn't see a similar set up at the other farm stays in the valley. This is the one you want to book. Enjoy! We spent a very relaxing holiday. Thanks for your kindness and for your excellent breakfast. We hope to see you again. We loved our stay here. The location and scenery is breathtaking. The house and rooms are impeccably clean and comfortable. But best of all the family is very welcoming and genuinely care about their guests. We felt like family and can't wait to go back! We rarely give a perfect rating but the Lenar Farm was so good we had no choice. Staff-incredibly helpful, responsive, and a joy to interact with. Accommodation--clean, spacious, comfortable, and quite, perfect for a good night's sleep. Location--postcard perfect views in a bucolic setting. Breakfast--delicious, plentiful, homemade, and locally sourced. And if that's not enough, there is great hiking and cycling right outside your door. Highly recommend an extended stay at the Lenar Farm. Thank you Urska and the entire Lenar family for a wonderful stay. Čudovita izkušnja, z veseljem jo bova ponovila. We really enjoyed staying at your place. The valley is beautiful and everything was great. Thank you! Zelo smo bili zadovoljni s postrežbo in prijaznostjo osebja. Še se bomo vrnili. We had great 10 days in Lenar's cottage. Owners are very friendly, descreet and open people. Rooms are spacious and renewed. Fresh bedclothes changed every few days. Tasty and fresh local food was an advantage. There are many great animals (horses, goats, vietnamese pig, cat etc.) which were super attraction for our daughter. Surroundings perfectly fine for all trekking followers. There we could felt like a part of great landscape. Definitely recommend. Krasna lokacija, nadvse prijetni gostitelji, prijeten ambient z veliko drobnimi detajli, ki ustvarijo pristno domačnost. Prostor in čas, kjer čutila zaznavajo drugače. Vrnitev zagotovljena. What an amazing place! It did not take us long to decide to extend our 2-night stay to 3 nights! We were two couples and we lucked out that they were able to accommodate us for a third night on such short notice. Ursa and her parents are warm and friendly hosts! At Lenar, we and my friends have spent a wonderful holiday and we have relaxed perfectly.We will glad going back there. Zelo lepe počitnice. Mirna lokacija primerna za sprostitev. Lastniki prijazni in gostoljubni. It was the most welcoming accommodation we have experienced The staff was very helpful to guide us on our walking trips and we could use the bicycles free of. Charge. A beautiful farm, in a beautiful valley. The breakfast was delicious and unique. We highly recommend. A great location for a calm and relaxing stay ! What a gem in Slovenia! After driving all over Western Slovenia, Lenar was by far my favorite. It's remote and just in an absolutely beautiful valley. I loved the balcony with the gorgeous mountain view and the breakfast in the morning was delicious and I loved it! I want to come back to stay for a few days longer soon! Ursa is so welcoming and she and her mother knit very cute hats and headbands. I wish they fit my small head, haha but they are very cute!! My husband and I had an amazing time at the Lenar Family house, we would highly recommend this location to anyone visiting the Logar Valley! The Lenar family was warm and welcoming, the breakfasts were delicious, and the accommodations were homey and perfect for our trip. We can't wait to tell our friends and family about Lenar Farmstay and the wonderful time we had visiting your beautiful part of Europe! Für unsere Gruppe war das obere Haus ideal - besonders nett ist das zusätzliche Wohnzimmer unter dem Dach... Mein persönliches Highlight neben dem ausgezeichneten Frühstück: nach dem Wandern am Balkon ein gutes Buch lesen und den traumhaften Ausblick auf den Talabschluss genießen! Wir kommen gerne wieder! 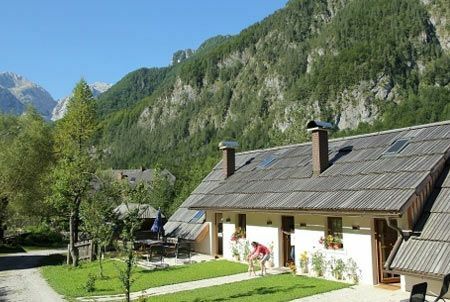 Perfect location to explore Logarska Dolina, good breakfast and very friendly owners, who also help you with transportation to Logarska Dolina. Excellent mountain bikes and they help you by taking you by car to starting point of scenic route. Perfectly clean, the hostes very welcoming if we could we would stay for more! Excellent service, hospitality and location (good for great walks), highly recommended! Perfekte Lage innerhalb wunderschöner Natur, sehr freundliche und nette Gastwirte, geschmackvoll eingerichtete Zimmer. Perfekt für Familien mit kleinen Kindern. Können wir uneingeschränkt empfehlen! We had a lovely stay. 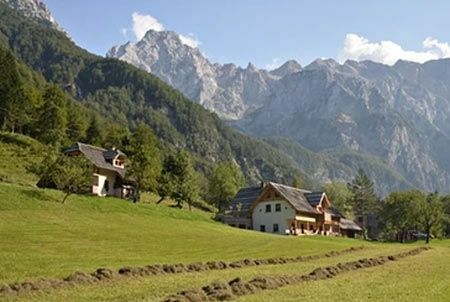 We would highly recommend for visits to Logarska Dolina. Ursa was very helpful and knowledgeable. We would definitely stay here again. We cannot say enough about how wonderful our stay was at Lenar Farmhouse. This family owned B&B steeped in history and surrounded by natural beauty provides exceptional accommodations and very friendly and helpful staff. The morning breakfasts were delicious, our rooms were beautiful and the proximity to hiking was fantastic. This is a must go to B&B! Perfektna lokacija za oddih z otroci ali v dvoje, saj kmetija s svojo tradicionalno in praktično ureditvijo ponuja prijetno okolje, kjer se človek resnično sprosti. Odlično je tudi to, da so na kmetiji za goste na voljo tekaške smuči, sanke, krplje, kar omomgoča enostavno aktivno preživljanje časa v okolici kmetije. Imajo urejeno tudi progo za sankanja, ki jo ponoči osvetlijo. Družina svojo dejavnost opravlja z veseljem, zato se človek resnično počuti dobrodošlega. Mi se bomo še vrnili! 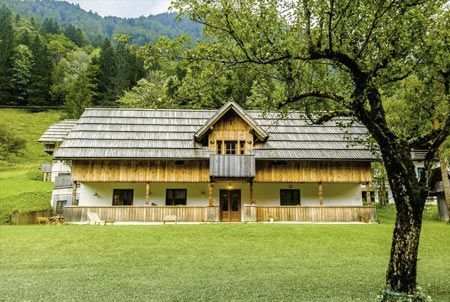 This is the perfect place to stay in Logarska Dolina. The hosts are friendly and very helpful; the accommodation is spacious and clean; and the breakfast is delicious. Also, the setting of this tourist farm is peaceful and lovely with a large front porch from which guests can enjoy a spectacular view of the valley. Zelo prijazna lastnica apartmajev, zelo čiste sobe, odličen samopostrežni zajtrk. Zelo priporočam. Vrlo dobar smjestaj na sjajnoj lokaciji; ljubazni i nenametljivi domaćini. Za svaku pohvalu! Lastniki so izjemno prijazni in pozicija odlična. Surely we can’t be staying this close to heaven?